Home / News / NEWS: Disney Announces Opening Date of Star Wars Land! NEWS: Disney Announces Opening Date of Star Wars Land! After years of waiting, the opening of the highly anticipated new land, Star Wars: Galaxy’s Edge, will happen this year. But when? For months all we have known is a “summer” opening in Disneyland and a “fall” opening in Disney World. We’re happy to report that Disney has announced the opening dates and we couldn’t be more excited! Catch all the details below. Minutes ago, we shared an exciting announcement many of you have been waiting to hear – Star Wars: Galaxy’s Edge is opening ahead of schedule on May 31 at Disneyland Resort in Southern California and August 29 at Disney’s Hollywood Studios in Florida. That’s right – it’s debuting early because of high guest interest in experiencing this new, immersive land. 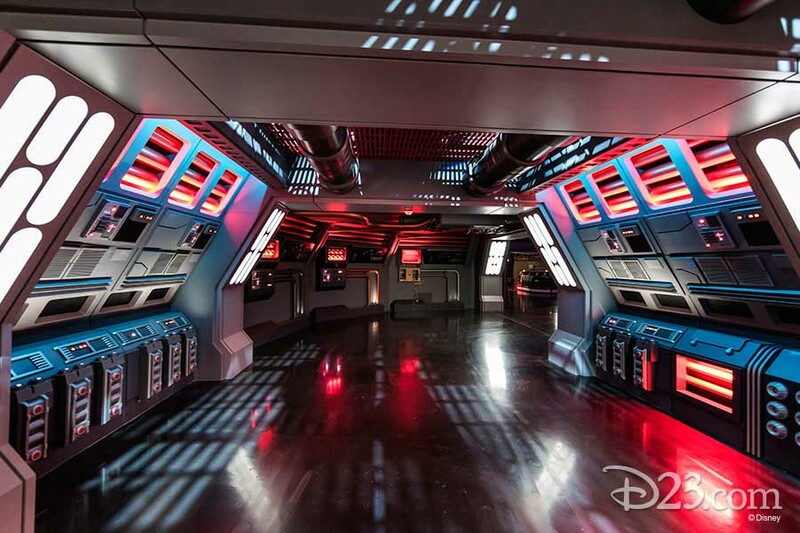 On opening day for phase one, you’ll be able to live your own Star Wars story and take the controls of the most famous ship in the galaxy aboard Millennium Falcon: Smugglers Run, sample amazing galactic food and beverages, explore an intriguing collection of merchant shops and more. 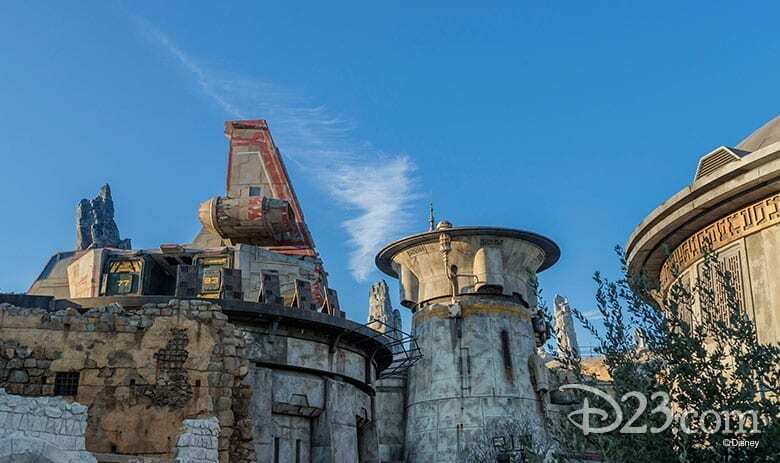 Guests planning to visit Star Wars: Galaxy’s Edge at Disneyland park between May 31 and June 23, 2019 will need valid theme park admission and will be required to make a no-cost reservation, subject to availability, to access the land. Information on how to make a reservation will be available at a later date on Disneyland.com and the Disney Parks Blog. Guests staying at one of the three Disneyland Resort hotels during these dates will receive a designated reservation to access Star Wars: Galaxy’s Edge during their stay (one reservation per registered guest); valid theme park admission is required. 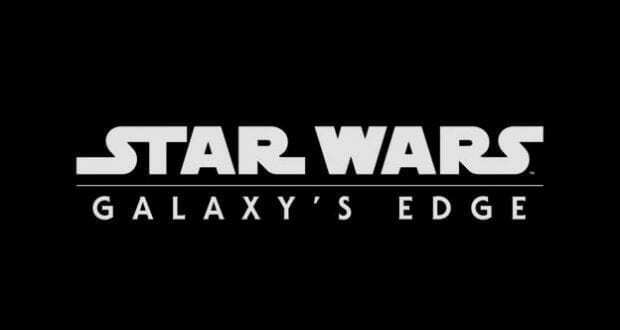 A reservation will not be offered or required to experience Star Wars: Galaxy’s Edge at the Walt Disney World Resort. And you should know that valid theme park admission to Disney’s Hollywood Studios is required to visit Star Wars: Galaxy’s Edge after its opening on August 29, 2019. Capacity is limited. Additionally, Star Wars: Galaxy’s Edge will be open during Extra Magic Hours. During Extra Magic Hours guests staying at select Walt Disney World Resort hotels can spend extra time at Disney’s Hollywood Studios enjoying select attractions. As the days creep by, we’re feeling more like Darth Vader in Star Wars Episode IV – A New Hope, when he says, “I’ve been waiting for you, Obi Wan.” Except, our heavy breathes and eagerness are replaced with “I’ve been waiting for you, STAR WARS: GALAXY’S EDGE.” Disney keeps building our great anticipation, as they slowly release details and tidbits about the new Star Wars Land currently under construction at Disney’s Hollywood Studios. 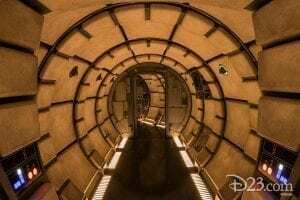 While we wait, we’ve gathered up what we know so far about Star Wars: Galaxy’s Edge. Disney’s Hollywood Studios has been and will continue to be under massive construction. Toy Story Land opened in 2018 and it’s amazing, but we absolutely can’t wait for 14-acre Star Wars Land known as Star Wars: Galaxy’s Edge that will open Thursday, August 29, just in time for Labor Day Weekend. This is the largest expansion ever at a Disney Park! This massive undertaking is sure to leave us in awe of our surroundings from unique architecture to the two full-sized AT-AT Walkers you’ll spot in the land. Be aware that the land will open in two phases. On opening day for phase one, guests will be transported to the remote planet of Batuu, full of unique sights, sounds, smells and tastes. 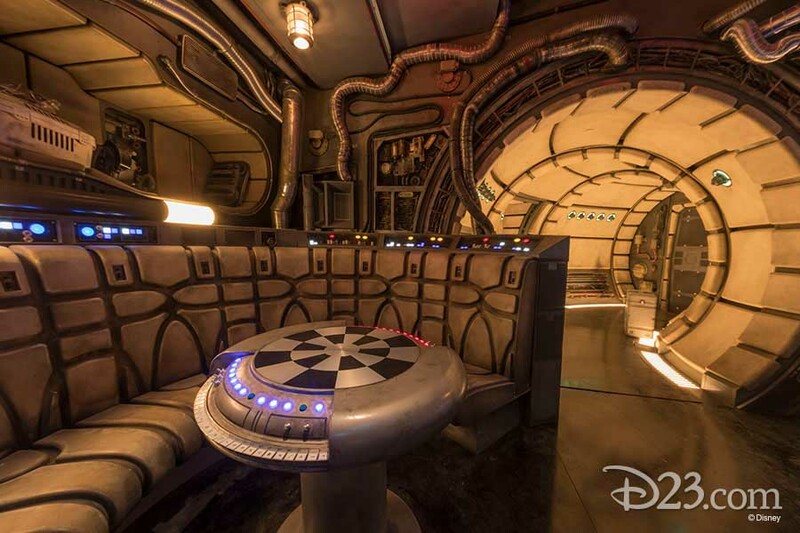 Guests can become part of the story as they sample galactic food and beverages, explore an intriguing collection of merchant shops and take the controls of the most famous ship in the galaxy aboard Millennium Falcon: Smugglers Run. 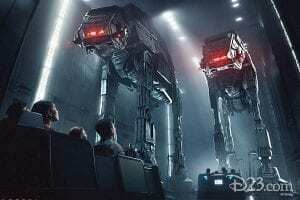 Phase two, opening later this year, will be Star Wars: Rise of the Resistance, the most ambitious, immersive and advanced attraction ever imagined, which will place guests in the middle of a climactic battle between the First Order and the Resistance and will blur the lines between fantasy and reality. In light of tremendous demand, Disney made the decision to open the land in phases to allow guests to sooner enjoy the one-of-a-kind experiences that make Star Wars: Galaxy’s Edge so spectacular. (See #5 for more information on the two attractions). 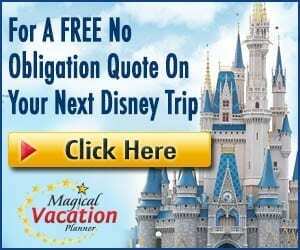 There is still a huge benefit to stay at a Walt Disney World Resort that will potentially help you get into the land and that’s Extra Magic Hours. Disney has confirmed that Star Wars: Galaxy’s Edge will be available during Extra Magic Hours. More details on those hours will be available at a later date. 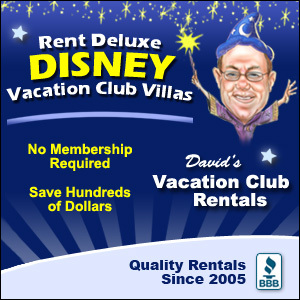 Keep in mind though that being a guest at a Disney World resort does not guarantee you access to the land. Extra Magic Hours will help, but you’ll still need to line up to enter. When stepping foot into Star Wars: Galaxy’s Edge, you’ll be transformed to a large village called Black Spire Outpost on the planet Batuu. This village is the last stop before reaching the galaxy’s edge into open space (hence the “Galaxy’s Edge” namesake). Black Spire Outpost Village is an ideal outpost for all the galaxy’s explorers (both good and bad) to trade, purchase, smuggle, and unwind before heading into the wild space. One of the best ways to get the full feel of Black Spire Outpost is said to be within the land’s marketplace. Disney Imagineers did research of exotic markets from locations such as Marrakech and Istanbul to get their creative juices flowing for the creation of the Black Spire marketplace. With an emphasis on the visiting travelers, it is said to be a market filled with sights, sounds, smells, and even tastes of unique items. We know that one shopping stall will consist of the sale of creatures and be overseen by a Toydarian vendor. The creatures for sale will be able to interact with their owner and will range from cute to creepy. The oddly cute Loth-cat is one confirmed creature you can expect to find at this location! We suspect (and hope) the souvenir interaction will be similar to what can be experienced with a Banshee souvenir at Pandora – World of Avatar. Disney has released details and images of some merchandise that will be available in the new land. Click here for more information. Since Black Spire Outpost is a hot spot for travelers, it only makes sense that it should have an impressive spaceport for spaceships to travel in and out of. It is possible this spaceport may be the location of the two signature attractions available in Star Wars: Galaxy’s Edge since both attractions are ship related. The most anticipated attraction is the Millennium Falcon attraction. We aren’t quite sure how Han would feel about just anyone driving his spaceship, but we will say we are up for the challenge! This attraction puts guests in the actual cockpit of the Millennium Falcon. You’ll have a chance to pilot the ship, shoot blasters, and prepare for hyperspace while completing your mission. Your performance skills will be evaluated by earning extra galactic credits if you bring the ship back in one piece! If you struggle, you may end up on Harkos’s list (a bounty hunter) and encounter problems at the local Cantina we mention below. Yikes… sounds like we need to practice our piloting skills! The second attraction is said to be just as thrilling at the Millennium Falcon except now you can encounter being in the middle of a battle between the Resistance and the First Order. This attraction consists of boarding a large scale ship that’s built on a scale that Disney says has “never been done before”. 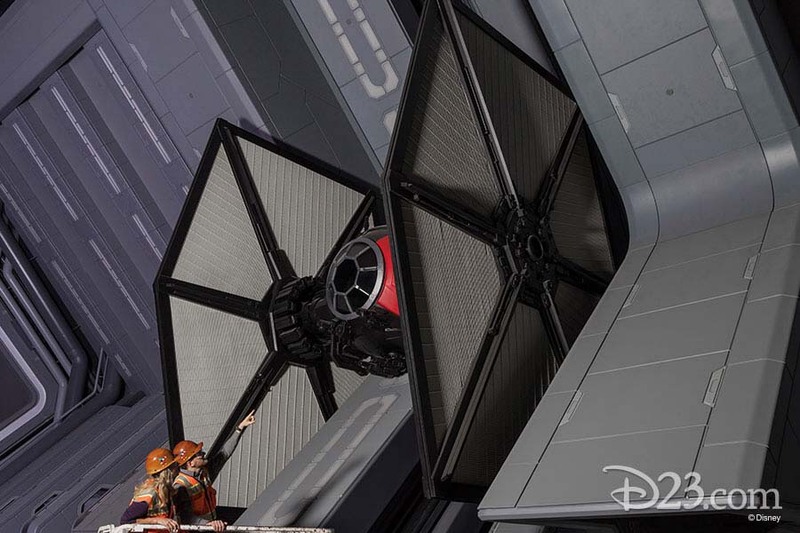 The second attraction, Star Wars: Rise of the Resistance, is one of the most advanced and immersive experiences ever undertaken by Walt Disney Imagineering. 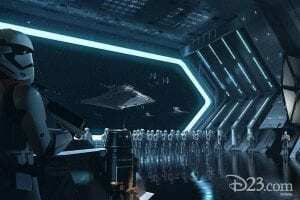 As new Resistance recruits, guests will join a climactic battle against the First Order, including a run-in with Kylo Ren. Their journey will take them inside a full-size starship and aboard a nearby Star Destroyer. What would a Star Wars land be without some of our favorite Star Wars characters?! 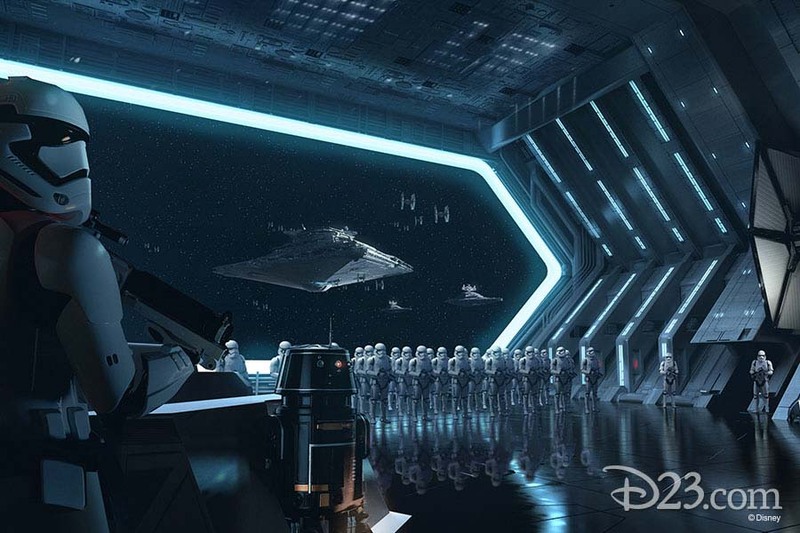 Disney has confirmed we’ll be able to meet characters such as BB-8, Chewbacca, and members of the First Order. We are curious what this means for the current set up at Star Wars Launch Bay, but moving the characters to the land just makes sense. The memorable pilot, Rex, is said to take on the role as a DJ at the Cantina! Plus, Nien Nunb (Lando’s co-pilot) is a new character addition that will be added to the land. Disney has released information on the dining locations within the new land. So far we know of several different locations, which are mix of food stands, lounges, and quick service locations. For more details including photos, click here to read this article. You’ve likely heard of the new Star Wars Resort on its way to Disney World. 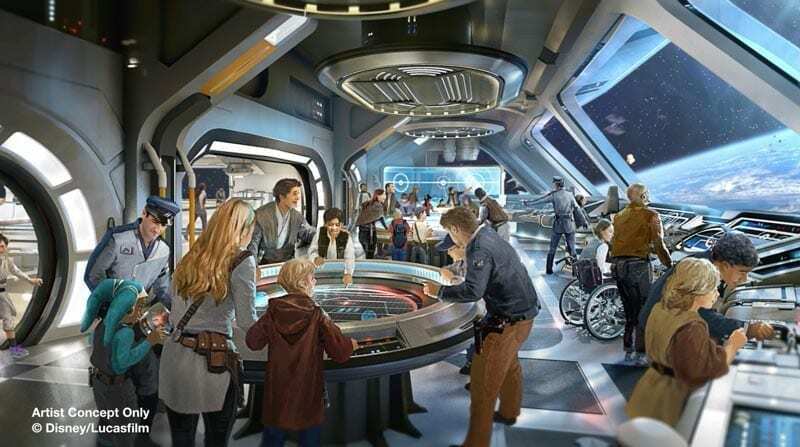 It’s going to be a totally immersive resort to the point of even allowing guests to dress in Star Wars attire. While this resort will be separate from Star Wars: Galaxy’s Edge, the location of the two partners beautifully to allow guests to move right from this luxury resort to Galaxy’s Edge with little interruption to the Star Wars world created around them. We have yet to hear of an opening date or time period for this resort, but we do recommend you start saving those pennies for a night here! As we await the coming of this galaxy, Disney has already released some merchandise to get us all ready for what’s to come. You can now purchase t-shirts and hats that offer the Star Wars: Galaxy’s Edge logo, DJ Rex, and even the Millennium Falcon on them. Shop at various gift shops throughout Hollywood Studios to snag the perfect merchandise to prepare for the opening of this one-of-a-kind land.